BOP Alumni – Jennifer Montone! 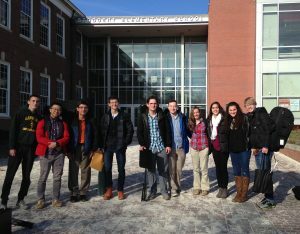 The field of music is very competitive. Only a small percentage of those who train to become musicians actually become employed as performers in the field of music. 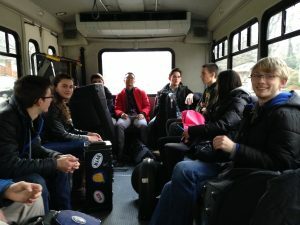 The Brass of Peace Scholarship Program (BOP), a tuition-free program for talented high school students is an intensive training program which prepares its members for greater success in the very competitive field of music. 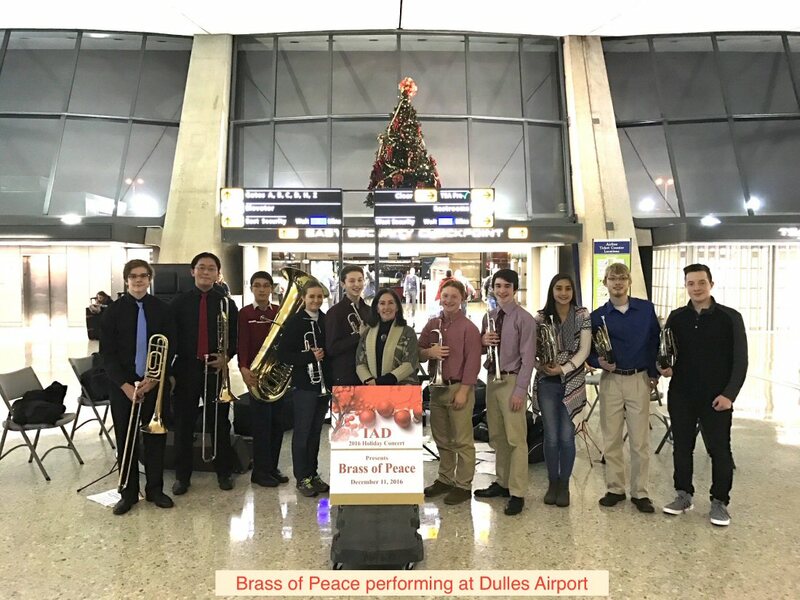 For a period of 36 weeks during the school year, the Brass of Peace Scholars, a group of 13-15 gifted children, are given two-hour weekly coaching sessions with former National Symphony Orchestra hornist, Sylvia Alimena. There are no fees or tuition of any kind. The ultimate goal is to build individual and ensemble skills as well as build confidence in performing and public speaking. 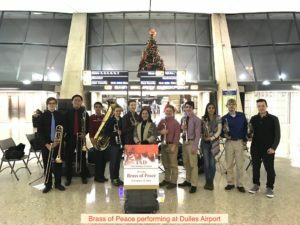 Brass of Peace performs 4 free community concerts per year on concert series in and around Washington. 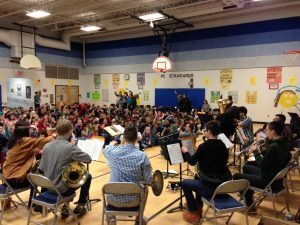 Brass of Peace also performs 4 – 6 free in-school “Kidshare Concerts” throughout the Washington metropolitan area and in partnership with the National Symphony Orchestra Education Department. During the Kidshare Concerts, members of Brass of Peace perform works of all genres, act out scenes from the story and demonstrate their instruments as Sylvia Alimena performs the story-telling in these original tales for children enhanced by music. The musicians who participate in Brass of Peace are from every economic, ethnic and racial background. The Kidshare Concerts presented by Brass of Peace in the schools provide other children with inspiration and more importantly, a role model. 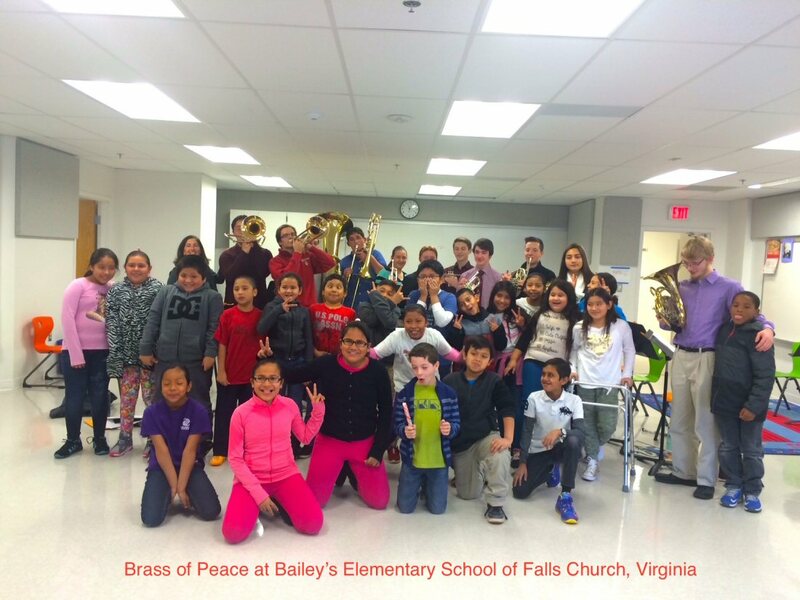 Last season, as many as 800 elementary school children In the District of Columbia, Alexandria and Falls Church heard a concert in their school by Brass of Peace. The Brass of Peace Program is recognized throughout the country as a training ground for tomorrow’s fine musicians and is a factor in helping young musicians enter the college or university of their choice. 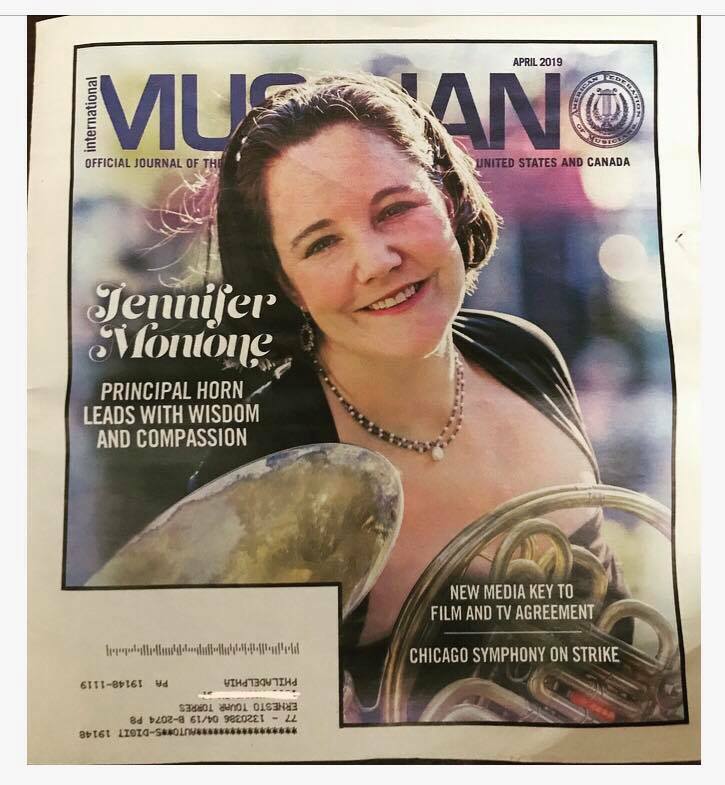 Most recent graduates of Brass of Peace are attending Northwestern University, Indiana University, the Eastman School of Music and the Cleveland Institute of Music. Many graduates of Brass of Peace have gone on to become employed in the nation’s symphony orchestras, brass ensembles, our great service bands and ensembles throughout the world. 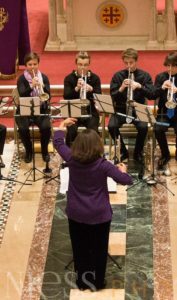 The Brass of Peace Masterclasses are presented annually by Sylvia Alimena on two consecutive Sundays in January and by visiting clinicians. These masterclasses are designed to help students take more successful auditions. The Masterclasses are free and open to the public. 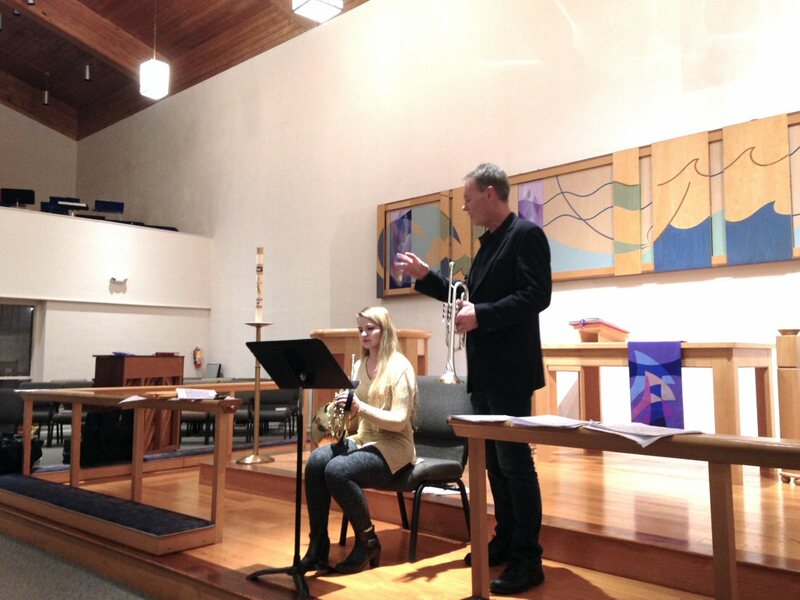 In the 2016 -17 season, trumpeter, Phil Snedecor was our guest clinician.